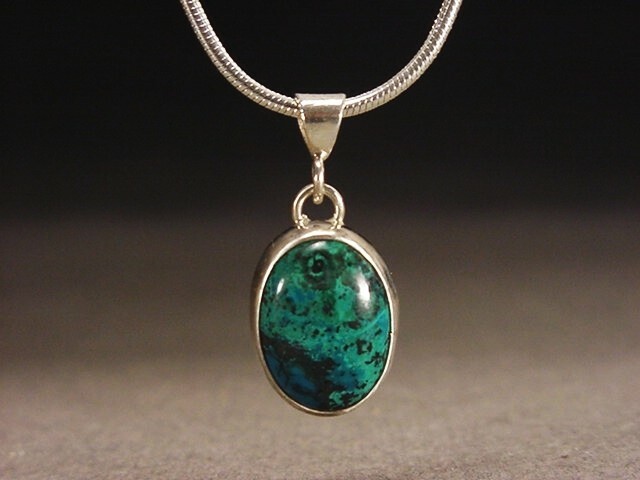 Chrysocolla/Malachite blend from Peru set in sterling silver. Regular bail on a 16" snake chain. Open backed. Also available with a tube bail.